It's still a touchy subject, which country invented noodles? Italians, Arabs, and Chinese all have their own versions and make their own culinary claims about their contributions to the noodles of this world. I'll remain neutral on the subject of who can claim noodle fame, and just focus on the facts (the delicious facts) about some of the finest noodles I've ever eaten in China. I've had all sorts of dry pastas, sphagetti noodles, an unhealthy amount of instant ramen noodles (mostly during university), and lots of other noodle dishes. But it wasn't until I had an opportunity to visit Yangshuo, China, that I truly realized the potential of noodles and just how delicious they can be. Noodles have been around for a very long time in China, over 4000 years to be more specific, and it's estimated that they have been a staple Chinese food for at least 2000 – 3000 years. After traveling and eating through China, I can say my perspective on noodles has been elevated to new levels, instant ramen will no longer do. There are countless different kinds of noodles in China, and I know that in my brief visit I wasn't even able to eat a fraction of the noodle dishes, but what I did eat was spectacular. 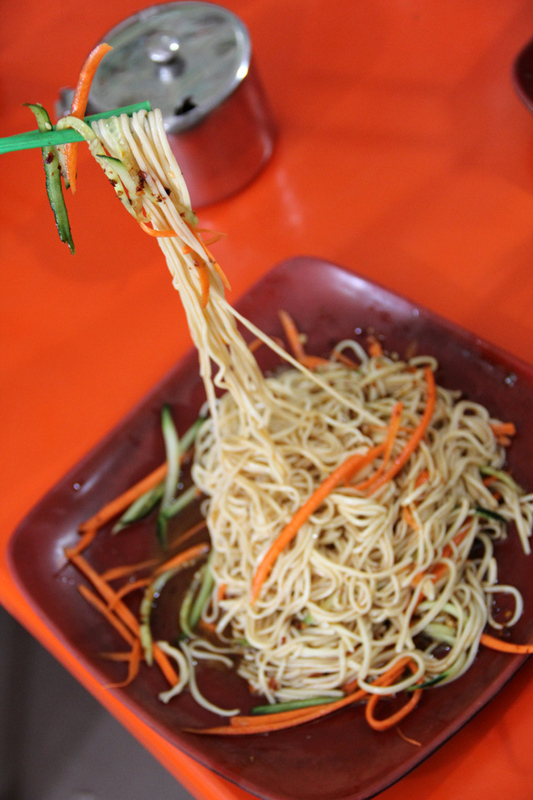 Lamian is one of the most famous and most beloved types of noodle in China. It is most commonly made of wheat flour that's kneaded into a smooth dough. 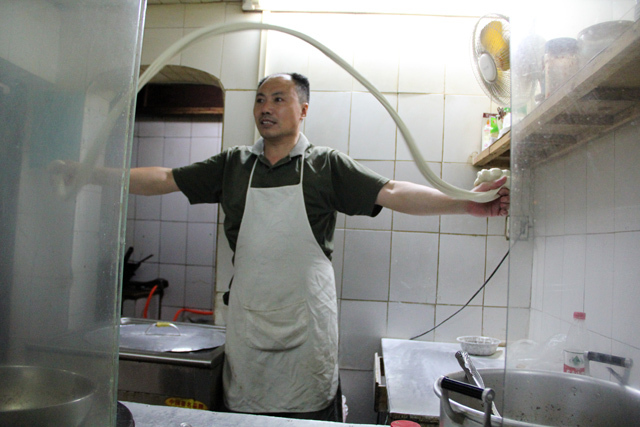 The fascinating part of lamian is the process of turning the blob of dough into intricate noodles. The chef works the dough by hand, pulling and stretching it out to create a strand. At first the process starts off slowly, but as the noodle thins out and grows in length, the chef has to slap the dough back and forth like a jump rope. He continually folds it over in his hands and then repeats the process as the noodle gets longer and thinner. 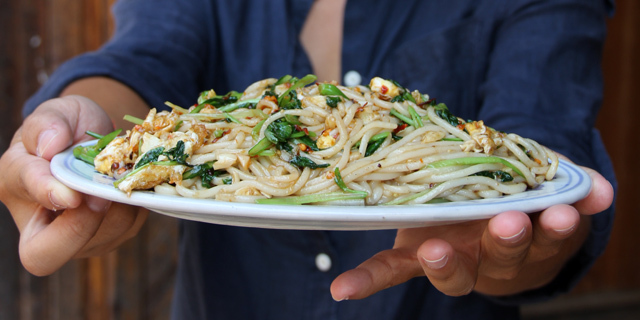 Done correctly, the chef ends up with just a single string of noodle that's as thin or even thinner than a common spaghetti noodle. The lamian is then bathed in boiling water and the noodles proceed to being added to soup, stir fried, or served as the base of a dish. 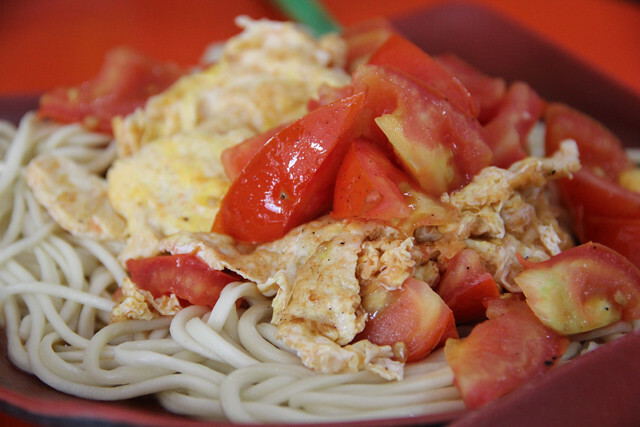 One of my favorite lamian dishes in China was the simple combination of freshly boiled noodles topped with egg and tomato. The subtle flavor of stir fried egg and tomato didn't overpower the noodles so they remained the highlighting taste of the dish. Another lamian classic that I couldn't get enough of were the cold hand pulled noodles. After the noodles were boiled they were dunked in room temperature water, flash cooled, and topped with slices of cucumber, carrots and beef. 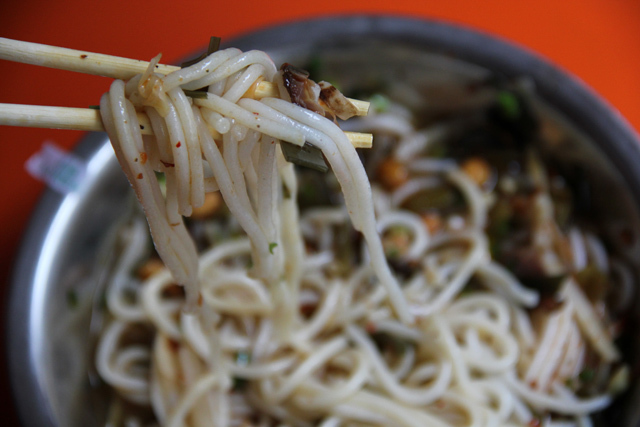 Finally the noodles were doused in a sesame infused vinegary dressing to give them ultimate flavor. A spoon of dry chili flakes mixed in, and I could slurp these down all day. Instead of hand stretching these, the chef instead grabs an acutely sharp knife and slices off bite sized pieces of dough right into a boiling cauldron of water. With incredible precision, chefs can accumulate enough noodles for an entire plate in just a few seconds of slicing. This kind of noodle is best enjoyed stir fried with soy sauce along with a few vegetables and pieces of beef or pork. Fresh rice noodles are also very popular in China, though they aren't as spectacular to watch being made (I think the texture of rice noodles wouldn't cooperate the way wheat does). Rice noodles in China are delicious in both soups and stir fries, spicy soup being my preferred version. No matter who is credited with influencing the world with noodles, one thing is certain – noodles are a carbohydrate gem contribution to global cuisine. When you visit China be sure to take full advantage of the delicious hand-made noodles. Wow, rice noodles, a popular snacks in south China and a stable food for breakfast in Guilin, featured a unique flavor different from wheaten noodles in north China. It is one of my favorite, and I has eaten it just 2 hours ago this morning. 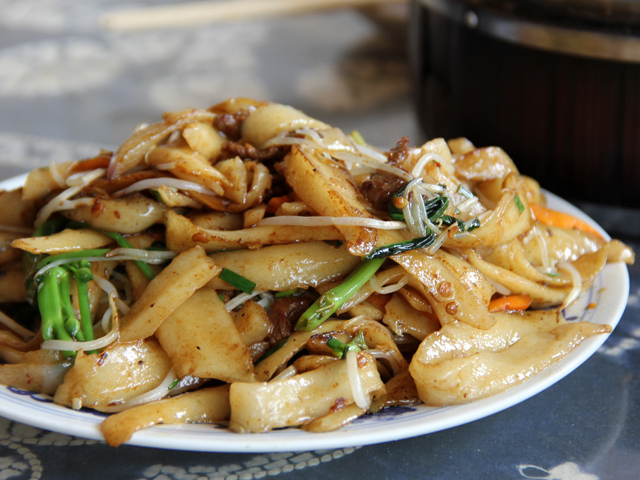 As a Guilin people, I hope more and more friends can come to my hometown and have a taste of the delicious rice noodles. It is delicious,isn’t it? I like wide rice noodles more than round rice noodles. WOW,,,LOVE NOODLES !